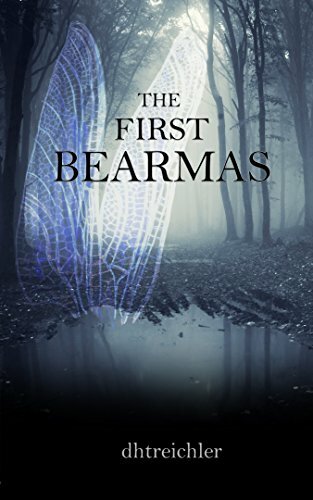 This is the touching story of how SaraJane (SJ) Wilcox celebrates her first Bearmas. What’s a Bearmas? Well…more on that in a moment. This is a truly unique book beyond comparisons. Written with children who are battling life-threatening conditions (and their parents) in mind, it recounts the hardships and trials a seven-year-old girl must go through after she is diagnosed with a cancerous brain tumor. SJ’s mother begins the first allegorical tale soon after SJ is diagnosed with the cancerous tumor. It’s about the Ordeal of the dreaded Bridge of Fire, and Ralph must cross it and return safely to prove his heroism in the face of daunting odds. The next day, Dr. Hamilton, SJ’s pediatric oncologist, picks up the story and brings Ralph through his first trial successfully. SJ’s mother, Genevieve, is also fighting battles of her own — at work, against mounting hospital bills, and facing the prospect of expensive day care for SJ when she leaves the hospital. There is no father in the picture, and Genevieve is nearing the end of her rope with worry. Meanwhile, SJ, now wearing an eye patch to compensate for sight lost to the tumor, continues to seek escape by identifying with the intrepid bear, who fights his way through ever-more-elaborate stories spun by her mother, Dr. Hamilton, and even her Granma. Ralph the bear enlists the aid of a hairy, smelly — but friendly and helpful — troll in his second quest to get a magical medallion. In subsequent stories, Ralph must settle a long-standing War of the Fairies, save the wildebeests in deepest, darkest Africa, and retrieve the jewel of Ra, the Sun God. It’s a lot for a small bear to do, but Ralph dutifully plunges into each Ordeal — plus three others — so that he may be worthy of his little girl’s love and admiration. Many character traits discussed in the book give immeasurable depth to the narrative and, at the same time, offer invaluable instruction to readers young and old. Ralph, in the course of overcoming his ordeals, learns a great deal about Humility, Modesty and Prudence, to name only a few. The characters in this unique novel are finely drawn and you are right there at the hospital bedside as SJ goes through her own ordeals, with her mother, grandmother, and Dr.Hamilton all there to support her. Does Ralph succeed in all his quests, finally taking his place beside SJ? And, more importantly, is a cure found for SJ, so she can escape the hospital and finally return home? Download this marvelous and sensitive story today and find out. Five stars to The First Bearmas. It elevates the art of allegorical writing to new heights as it brings hope and fresh insights into how to handle adversity. Look also for the beautifully illustrated companion book, The Illustrated Bearmas Reader, where Ralph really comes to life on carefully crafted, full-color panels.